When most people think of Florida, they think of retirement, sandy beaches, and warmer winter months. If you're thinking of the nation's tourism hotbed as nothing more than the Sunshine State, you're ignoring the massive economic engine at work in the state of Florida. The state not only has a tax structure that is friendly toward the individual, but also one that is setup to help businesses succeed by encouraging growth and investment. Florida ranked #2 in the country behind only Texas in 2014 for its business climate, with 18.3% of US corporate executives surveyed in the Winning Strategies in Economic Development Marketing report viewing the state's environment fondly. Florida scores highly in economic trends and business incentives. If you haven't already considered doing so, here are a few reasons to incorporate in Florida. Florida is a popular destination for individuals because it has no state income tax on individual income. For those forming an LLC, this is particularly attractive as those companies are taxed based upon the individual income of the organizers, and not the income of the business. In a bid to help corporations avoid further taxation, the state has an exemption for S-corps that allows them to skip on state taxation as well. If you happen to be forming a software business, Florida might be doubly attractive as a place to incorporate your business. Florida is one of a handful of states that provides an exemption for businesses that work in business-to-business software sales, meaning both users and retailers can save on bulk purchases and software licensing courtesy of the exemption from taxes. On the whole, Florida’s corporate income tax rate is friendly toward businesses. While Delaware is often considered the capital of incorporation in the US, it’s 8.7% corporate income tax rate, personal income tax rate, and franchise taxes all outstrip Florida. The state of Florida, as mentioned, has no personal income tax. It also has no franchise tax on businesses, and collects a corporate income tax of just 5.5% on income over $5,000. When you’re filing your incorporation or formation paperwork in the state of Florida, you’ll find one of the few environments where you don’t have to disclose a great deal of information about the individuals involved in the business. Incorporation papers can be filed anonymously in Florida, often by a representative agent of the company. Florida is among the states with the lowest cost of incorporation, offering fees that are on par with the top two states of Delaware and Nevada. The cost to form a C-corp is just $150, and must be filed with the state by May 1st of the incorporating year. As you go to form your corporation or organize an LLC in Florida, keep these naming regulations in mind. First, LLCs must use Limited Liability Company, Limited Company, or appropriate abbreviations in the name. For corporations, Company, Corporation, or Incorporated are a must, as well as other abbreviations. In both cases, the use of terms such as Bank, Bancorp, Mortgage, or Loan in the title must be approved by the Department of F.
Incorporating in Florida comes with many of the same benefits you’ll enjoy in other tax-friendly, business-friendly states. For example, there is no residency requirement in the state of Florida. You need only provide the name and address of a registered agent over the age of 18 to represent the business in the state of Florida. One of the benefits of Florida incorporation not found in many other states is the ability to raise capital tax free. If you issue stock for your corporation in the state of Florida, you won’t pay taxes on money raised from that stock sale. Of course, you’ll also enjoy the ability to separate your personal assets and property from the assets and liabilities of your business, ensuring your personal financial well-being is looked after regardless of what happens to your business venture. Then there’s the benefit of credibility. Companies with official titles, such as LLC, Corporation, or Inc., are looked upon more fondly by consumers. You’ll also have the flexibility that comes from opening a bank account in your business name. This makes commercial transactions with consumers and clients easier, and provides a clearer path to secure investment funds for the company. Florida LLC names must end with the term “Limited Liability Company”, “Limited Company” or the abbreviations “LLC”, “L.L.C.”, “LC”, “L.C.”, “Ltd. Co.”. Using only the word “Limited” is not allowed. The words “Bank”, “Bancorp”, “Mortgage” or “Loan” need an approval from the state’s Department of Financial Regulation. LLCs in Florida are required to file a formation document called the Articles of Organization. Additionally, the state requires LLCs to file an Annual Report, which is due on May 1st. The first one will be due by May 1st of the year following formation. The Articles of Organization must include the name and address of a registered agent who resides in Florida, and who is available to manage legal and tax business documentation. For more help with the formation or for registered agent services please contact Inc. Plan (USA). In Florida, LLCs are taxed as C-corps for state tax purposes regardless of your tax treatment for federal tax purposes. Each of the 50 American states has its requirements for incorporating. The essential requirements for C corporations established in Florida are as follow. 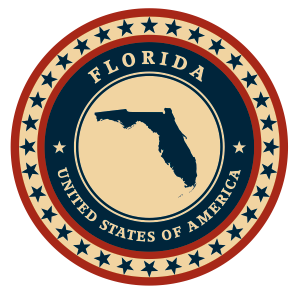 Florida incorporations must have distinctive names and are allowed to use endings like “Company”, “Corporation” or “Incorporated”, along with their abbreviations. However, if the name contains the terms “Bank”, “Bancorp”, “Mortgage” or “Loan” the company needs an approval from the Department of Financial Regulation. Firms incorporated in Florida are required to file a formation document called the Articles of Incorporation and an Annual Report. This report costs $150 and must be submitted before May 1st. The Articles of Incorporation must include a listing of the company’s authorized shares and par value, as well as the name and address of a registered agent with a physical Florida address. Inc. Plan (USA) can help you with the necessary filings and also with qualified registered agent service. Domestic and foreign corporations are subjected to an annual franchise tax at a rate of 5.5% based on the corporate income generated in Florida. The first $5000 of net Florida income will be exempt.